t-615 Featured on Ravishly's "Ladies We Love"
﻿﻿We've been doing lots of fun interviews lately - can you tell?! Here's another one originally posted on Ravishly.com, featuring some insight into our original intentions for t-615 and what it's like to run a social enterprise. 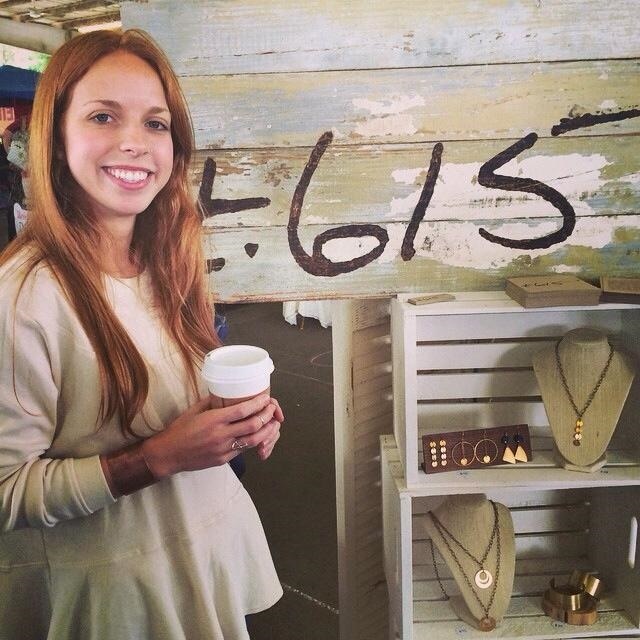 Three years ago, Lauren Carpenter and her best friend Emily Landham started t-615, a fashion company that sought to raise funds and awareness for survivors of human trafficking. They began with a collection of T-shirts emblazoned with inspiring quotes and graphics, then launched a line of accessories that would quickly become their signature item: BRANDED cuff bracelets. 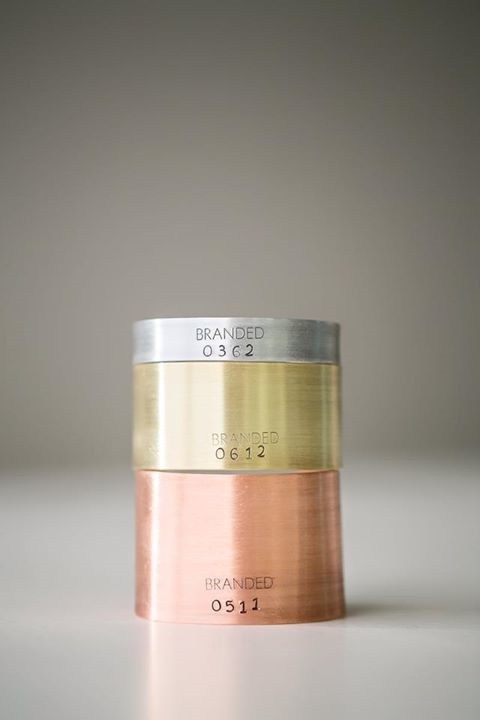 Designed to start a conversation about the horrors of trafficking, each bracelet is stamped with a unique number that represents the dehumanizing numbers that are often assigned to (and sometimes literally branded onto) victims of the slave trade. t-615 is a social enterprise, which means it's a for-profit business with a philanthropic mission similar to a nonprofit. Carpenter and Landham donate a quarter of their profits to End Slavery Tennessee, and are in the process of starting an internship program for survivors of trafficking. I was thrilled to talk to co-founder Lauren Carpenter about the evolution of her business, what it's like to start a company with your best friend, and how she juggles a full-time job and a growing social enterprise. What inspired you to start t-615? I have never been someone who knew exactly what I wanted to do as a career. I danced around getting involved in the music business or becoming a PR professional, but nothing ever felt quite right. However, I happen to be married to someone who has always known exactly what he was supposed to do: music! So, his passion brought us to Nashville almost six years ago, and I started a job at the local chamber of commerce. Part of my job at the time was to help out at various events. At one of those events, Gwen and Suzanne of 147 Million Orphans were the featured speakers. They talked about starting a business with a purpose—what they called a "social enterprise," a term I was unfamiliar with at the time. They explained how creating a for-profit business for a social cause actually allowed them to be more successful and help more people than the traditional nonprofit structure. They were selling shirts, jewelry, and bags after the meeting. I think I spent at least $200 that day on items to help orphans in Africa. At that moment, I realized that the ladies had spoken to my heart through a love of fashion and a desire to do good. The wheels started turning, and I decided I wanted to start a business to help survivors of human trafficking. Add Emily's genius idea for t-615 into the mix, and here we are today! How has the company evolved since its inception? How did the idea for the Branded bracelets come about? When we first started talking about t-615, the original concept was actually a line of T-shirts with quotes on them. Emily came to my apartment with a typed document which detailed how our partnership might work and included some of the quotes she wanted to transfer onto tees to sell. Our idea was to donate a percentage of sales to human trafficking survivors through a local organization. So, with those bare bones, we set to work to figure out how to do it. We had no money, but we had big dreams and hopes of helping people who were hurting right in our backyards. We would meet for coffee at least once a week to hash out new ideas. One week, Emily came into our meeting with this brilliant concept of the BRANDED bracelet—a bracelet which included a unique number that allowed the buyer to "become a number" to represent the dehumanizing numbers used in the human trafficking industry. Emily had come up with the concept through a lot of prayer and inspiration. She is what I would call the "big picture" thinker in our operation. She's always dreaming, thinking about our next step. After several iterations of BRANDED prototypes, we landed on the recycled aluminum cuff. We decided to sell 100 cuffs for $100 apiece to raise $10,000 for startup operating costs. We expected to sell them to friends and family and thought it would probably take about six months. We started talking about them to people slowly . . . quietly . . . and we sold out of the first 100 in less than two months. That's when we knew that this BRANDED product was connecting with people, and we decided to make it our signature product. As first-time entrepreneurs with full-time jobs, what challenges have you faced, and where did you find the support you needed to achieve success? We are constantly facing new challenges, but that's the nature of entrepreneurship. I don't think either of us thought that we'd be entrepreneurs, and we certainly weren't "trained" for facing the unique situations that the career path occasionally entails. Our challenges usually have to do with the fact that we are a small operation with limited resources and time. As you said, we both have full-time jobs, but we are so passionate about t-615 that it is well worth the extra time spent and every strange obstacle we might face. For example, right now we're facing a bit of a challenge in changing metal suppliers for our main collection of BRANDED jewelry. This has taken a lot of research and effort (the metals industry is very complex) but we fit the research into our schedules just like anything else. Our families and friends have been constant sources of support ever since we started. Also, a lot of times the best thing Emily and I can do is laugh together. We have to wear these ridiculous-looking masks when we sand down the BRANDED collection metals, and that's always a good time for some doubled-over laughter. There is such joy in having a friend and partner in this, and I feel blessed every day that Emily is by my side to experience the extreme hilarity of owning our own business together at the ripe young age of 28. We have so much yet to learn! t-615 is a social enterprise. How do you balance your goals as a business with your goals as activists? Are the two intertwined? This is such a great question! As I was discussing the challenges we face (see previous question) this definitely came to mind as THE most prevalent struggle we have. I think anyone who owns a social enterprise would probably say the same thing, because social enterprise is about combining passion, purpose, and excellency to sell a product—and sell it well. We believe that the work we're doing to help human trafficking survivors is so important and necessary. In fact, we started this company because we felt called to help. At the same time, we are not doctors, or lawyers, or counselors; those are the things that human trafficking survivors typically need when they're rescued. However, we ARE humans who love fashion and who have a commitment to beautifully-made, ethical products. We know that the best thing we can do is use all of these passions together to make a difference to this cause. The hardest part of selling a product for a cause is probably the way that you have to promote both things at the same time. We used to over-analyze our social media posts, trying to balance posts about human trafficking and posts to promote the products. I think the most important thing we realized is that this thing we're doing, t-615, allows both things to co-exist. So we are selling products, but that's also how we help the cause. They are so intertwined that we can't talk about one without the other. People tend to caution against going into business with your best friend. After 3 years working together, what's your take on that? I would say . . . those people obviously don't have an Emily Landham in their lives! In all seriousness, this was something Emily and I discussed at the very beginning of our partnership, and we were slow and careful to go into business together for that very reason. We got some great advice from someone who recommended drawing up an operating agreement so that if anything went south, we'd have the agreement to look at and say: "Okay, it was a valiant effort, now it's time to dissolve, and here's the document we signed for just that reason. Here's what happens now." However I will tell you this . . . there's NO WAY that's happening! We are both fully committed to t-615 and we work well together. Emily is probably the only person that I would go into business with. She's extremely intelligent, realistic, and understanding. We both have so much going on in our lives, and we give each other a lot of grace. We always try to start business meetings with a casual conversation about life before jumping into all the work stuff. It's important to be there for each other and always remember why you started working together in the first place. Do you consider yourself a feminist? How has your relationship with feminism informed the way you do business and your drive to empower other women? I don't know if I'd call myself a "feminist." I think that word has so many connotations these days that it's hard to define. However I would say that as a woman I am all for empowering and championing other women! That's one of my favorite parts of running this business. It's unbelievable to me that in 2015, women are still making less money than men (for the most part). We still have to deal with sexist behaviors. There are still "female" careers. The majority of the victims of human trafficking are young girls. Emily and I have had amazing opportunities to talk to various groups about t-615, from high school classes to church groups. My favorite part has been meeting and influencing the younger generation of females who have big dreams and are rising to the top. If I can be even a little bit of an inspiration to those young females, then what I'm doing here has been worthwhile. When you look back at the evolution of your company and all you've achieved, what are you most proud of? There are so many things I'm proud of—most of them having nothing to do with me and everything to do with the people we have employed to do amazing work for our company! Our vision with t-615 has always been to use the talents and skills of the artistic community to create beautiful products to advance the abolition of human trafficking. Since our company's inception, we have curated multiple product lines: 10 graphic tees, the freedom jewelry collection, the BRANDED jewelry collection, and two handmade tops, which were painstakingly designed and sewn by two young clothing designers. All of these things have been lovely, and all of them have taken a lot of hard work and attention to detail. I think I am probably most proud of us for always recognizing when it's time to take the next step, even if it's been painful. We're still a young company, and we're still evolving. I hope we will always be open to trying new things and if they don't work, moving on to the next right thing. What advice would you give to other young women who are interested in starting their own social enterprise, or any business for that matter? The best advice I can give is to just do it (no Nike puns intended)! Don't wait for "the right timing" because if you do, you'll never start. I would also say that you can't underestimate the power of listening. That may sound strange, but when I say listening, I mean that in multiple ways. Emily and I have both spent a lot of time listening to the people we trust and also taking coffee meetings with total strangers. People are fascinating! There has never been a pointless meeting or piece of advice. It is all valuable, and we have learned so many lessons along the way by simply listening. Most of the time, it helps us discern between the "noise" and the truth. What's next for you and t-615? Oh, I'm so glad you asked, because we're working on some really exciting things! In April, we'll begin training two human trafficking survivors to actually make the BRANDED cuffs through what we're calling our t-615 internship program. We're thrilled to be able to teach them the art of working with metals while also teaching them business skills which will hopefully be useful to their career paths. Many survivors have difficulty getting jobs because they have been trafficked since they were young and don't have career experience. We hope to be the stepping stone to their confidence in their abilities and their financial stability. We have a couple of other things in the works . . . but that's all I want to reveal for now. After all, a good entrepreneur never shows her hand too soon.